Only the best become Navy S.E.A.LS. the Sea Air and Land Specialists. They are a highly trained, elite commando team, and it will take the Navy’s best to accomplish their latest mission to infiltrate and destroy the deadliest island in the world. Training to become Navy S.E.A.L.S, are Naval officers, Lloyd Hammer (Rob Lowe) and Dean Mesaoly (Gale Hansen). Fiercely competitive, they prove to be highly skilled warriors as well as best friends. 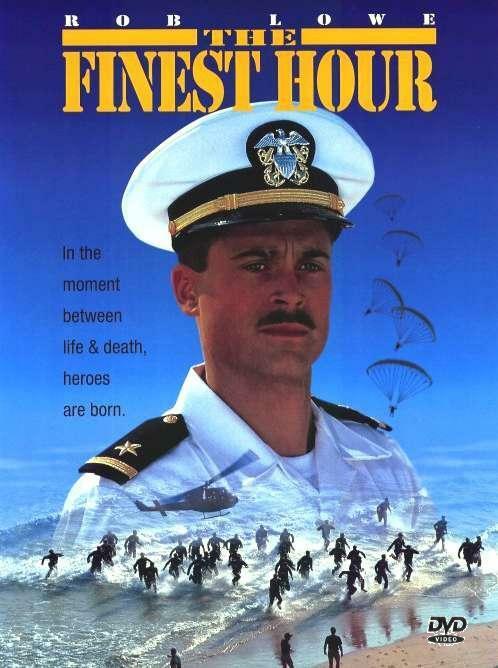 Upon completion of the program, they are reassigned to opposite sides of the country, thus breaking up the Navy’s finest fighting team as well as a close friendship. One year later, Hammer and Dean are reunited when a Mid-East country threatens to invade its neighbours. The S.E.A.L.S. are called upon to measure enemy strength on the strategically important Hangam Island. What they discover is a stockpile of biochemical weapons ready for immediate deployment. Hammer and Dean volunteer to return to Hangam Island as leaders of a handpicked squad. Their assignment: infiltrate the heavily protected compound and destroy the weapons. These men are Navy S.E.AL.S. The best America has to offer. Their mission a virtual suicide raid, will provide them with the ultimate test of their skill and courage.